Sun Moon Lake is one of the most popular tourist attractions in Taiwan. Below I will compare Sun Moon Lake tour options provided by two different popular tour websites, GetYourGuide and Klook. 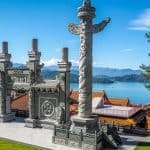 I will analyze a few well-reviewed Sun Moon Lake tours, as someone who has been to Sun Moon Lake 6 times in 10 years, to help you make a quick and simple decision on which one is best for you. In my opinion, taking a Sun Moon Lake tour from Taichung is better than a Sun Moon Lake tour from Taipei. The options are better, and you get more time at the lake. To be 100% transparent, I have never taken a tour to Sun Moon Lake. 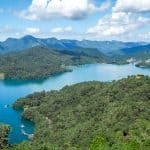 I usually travel independently, and in my super detailed Sun Moon Lake guide, I tell you how to do it all by yourself. 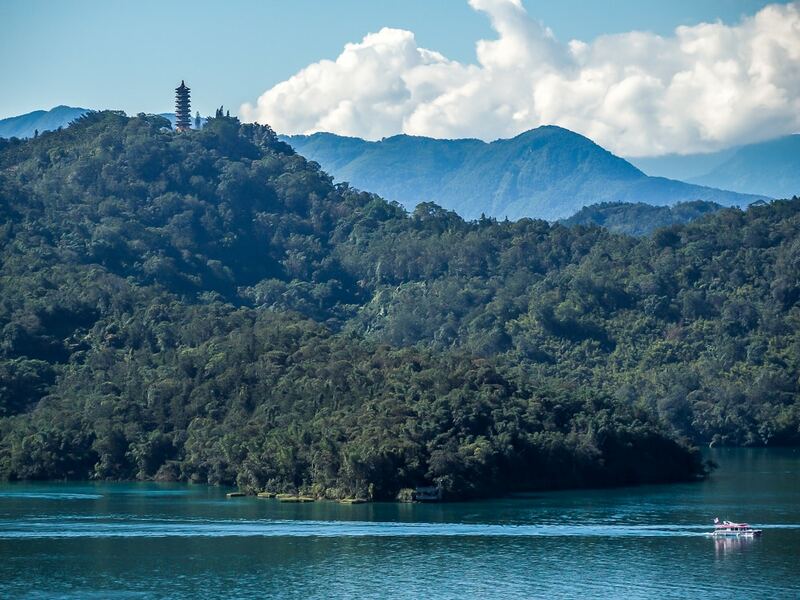 Besides tours, another option you can consider is to get a Sun Moon Lake Pass. In this way, you can travel independently, but enjoy the convenience of having your bus tickets, boat tickets, bicycle rental, Sun Moon Lake ropeway, and more pre-arranged, to avoid the hassle of figuring out all those things once you get to Sun Moon Lake. Moreover, the pass saves you money! Other great deals are the boat, bike, and Sun Moon Lake ropeway pass or bike and eco-friendly boat pass on Klook. Finally, for a completely different (and more serene) way to experience Sun Moon Lake, you can consider Stand Up Paddleboarding on Sun Moon Lake. I chose these two providers because I have had positive experiences with them, and my readers tend you use and like them. This is not really a choice of GetYourGuide vs. Klook. For Sun Moon Lake, the two websites offer very different tours. The GetYourGuide options are all bus tours aimed at people who want to see a lot of Taiwan quickly, while Klook’s choices may appeal to lower budget travelers who want a more intimate experience of Sun Moon Lake specifically. GetYourGuide is an increasingly popular tour website around the world, and they work with local tour providers. All the GetYourGuide tours mentioned below are provided by Edison Travel Service, a tour operator which is extremely well rated on Tripadvisor, and they provide English speaking guides. Klook is particularly popular in Taiwan and Asia. Compared to GetYourGuide, their tours tend to have smaller groups, using cars, vans or minibuses instead of tour buses, and they also offer many other useful services. Use this link to sign up for Klook and you’ll get a 100NT discount on your first booking. For example, on Klook you can pre-book your High Speed Rail Ticket from Taipei to Taichung at a reduced rate, also removing any stress about not getting a reserved seat. You can also use Klook to arrange transfer in a private car or mini-bus from Taipei or Taichung to Sun Moon Lake, or you can charter a private vehicle with an English-speaking driver. For semi-independent travelers, or people who want to have a more complete experience of Sun Moon Lake specifically, I think that the tours offered from Taichung are better than those from Taipei (see below). It’s very easy to get to Taichung on your own by HSR, bus, or regular train. From Taichung, it only takes about 90 minutes to reach Sun Moon Lake by shuttle bus, so you will have more time to enjoy the lake. There are two excellent choices for a Sun Moon Lake tour from Taichung on Klook. The first one is a little more relaxed, while the second one is more “adventurous” (and in my opinion the best choice, see why below). For the Day at Sun Moon Lake Tour, starting at your hotel or the train or HSR station in Taichung, you drive to Sun Moon Lake in a van (there may be other guests, or could be just you). You start with an easy hike on Shuiwatou Trail (Water Frog Head trail), which takes you through a bamboo forest right down to the lake. Then you visit beautifully designed Xiangshan Visitor’s Center before taking a 1-hour boat ride on the lake. You get to visit the aboriginal village of Ita Thao (my favorite place to stay on Sun Moon Lake), as well as the famous sights of Xuanguang (Syuanguang) Temple, Ci En Pagoda, and Wenwu Temple (learn about these sights in my Sun Moon Lake article). See the best of Sun Moon Lake in one day from Taichung. Convenient and easy, pickup from anywhere in Taichung. Boat ride on lake included. Combination of popular and quieter sights on the lake. Guide is Chinese speaking only. Must pay extra NT900 for an English speaking guide (in my opinion, you don’t really need it to enjoy the sights). 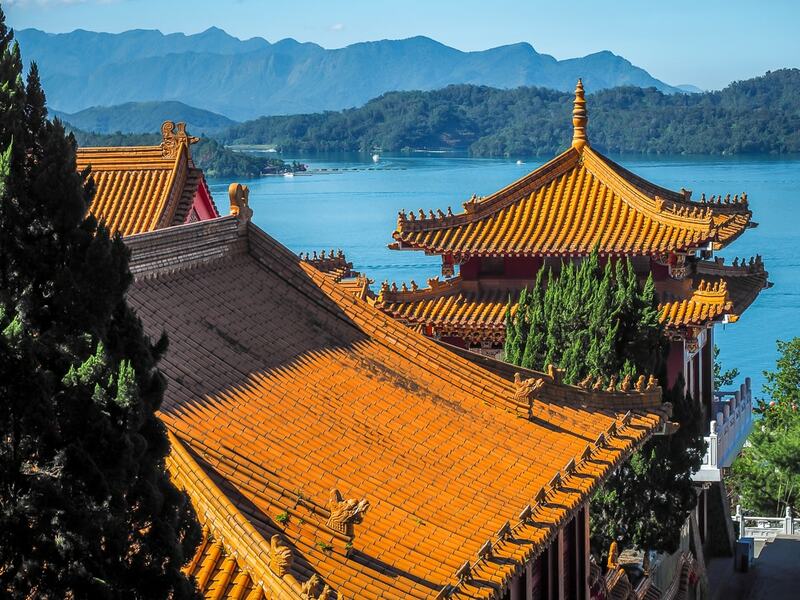 On the Sun Moon Lake Adventure One Day Tour, you get to experience cycling at Sun Moon Lake, an aboriginal lunch, a boat ride, the cable car ride, and Wenwu Temple (the most famous/beautiful temple). I think that this is the best day tour of Sun Moon Lake available. You get to cycle, ride a boat, and take the gondola all in one day. Cheaper than first tour, and Sun Moon Ropeway tickets are included. 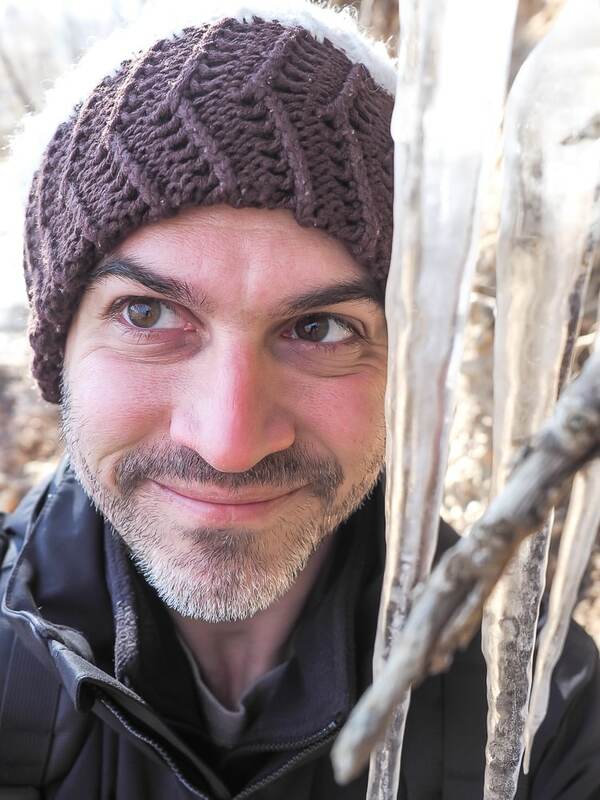 Fewer “sights” than the first tour, but more adventure. You still see Wenwu Temple, the most beautiful temple on the lake. Option for English (or Japanese) guide at no extra charge. Convenient pickup and drop off in Taichung, just like the first tour. None that I can see. This tour isn’t as popular on Klook for some reason. Maybe it’s just newer. Are you into amusement/theme parks? Then the Formosan Aboriginal Culture Village Day Trip may be for you. The Formosan Aboriginal Culture Village is a combination of aboriginal culture village, with aboriginal songs, dance, and costumes, and amusement park with wild rides. You get there by riding the Sun Moon Lake Ropeway, which offers incredible views of the lake. 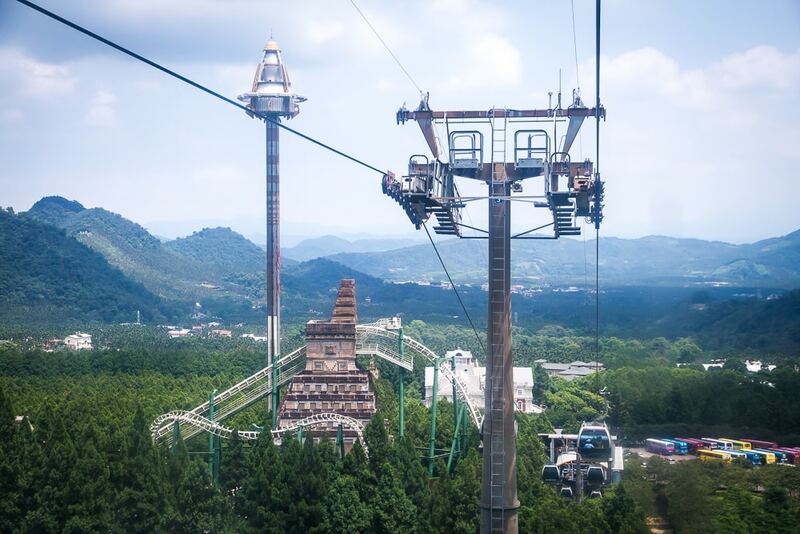 (Note: You can take a ride on the ropeway without visiting the theme park in the “adventure tour” above). Personally, I didn’t really like this theme park (you can see why in my Sun Moon Lake Guide). Great for theme park lovers. Fast and convenient way to enjoy some great Sun Moon Lake views. English, Japanese, or Chinese speaking guide at no extra cost. Also includes Wenwu Temple, the most beautiful temple/view of Sun Moon Lake. Good deal, considering normal tickets to the theme park (NT850) are more than half of the total tour price. Not much time to see Sun Moon Lake. Doesn’t include any sights around the lake besides Wenwu Temple. Not an “authentic” aboriginal experience and not one of the best amusement parks in Taiwan (in my opinion). Even if you are taking a tour, I would not advise doing a day trip to Sun Moon Lake from Taipei. It’s about three hours each way, which is a lot of time to be on the road a quick visit. What’s more, you don’t want to miss the lake at its most beautiful, in the early morning or around sunset. 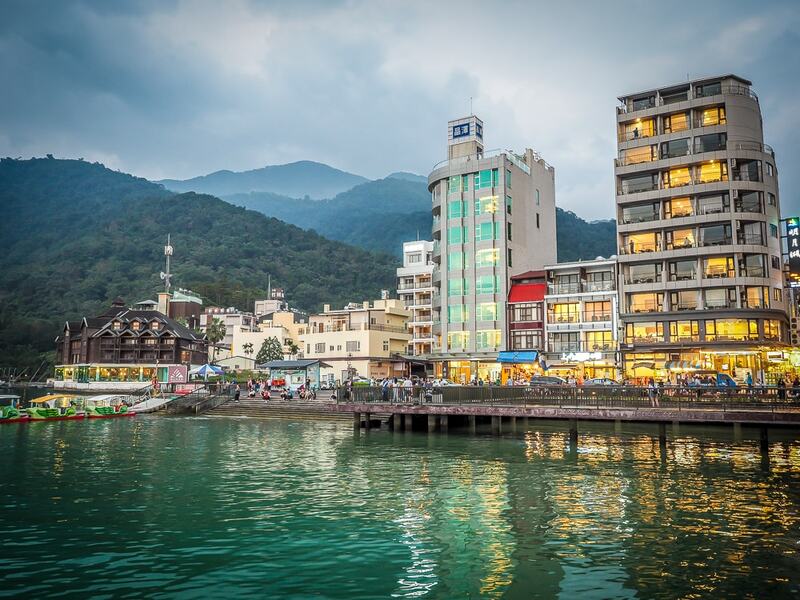 GetYourGuide offers this popular 2-day Sun Moon Lake Tour from Taipei by coach. You can get picked up from any hotel in Central Taipei. The tour includes a stop at a Paper Factory in Puli on the way to Sun Moon Lake. 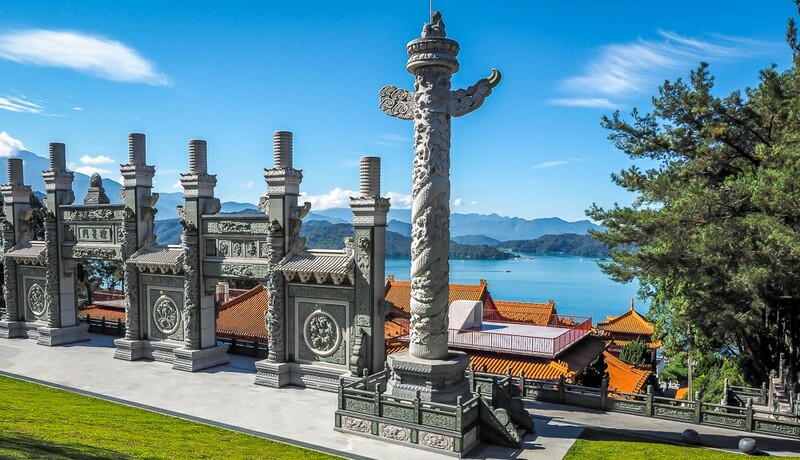 At Sun Moon Lake, you see the main sites of Wenwu Temple, Ita Thao (they call it ‘Te Hua” on GYG), Tse En (Ci En) Pagoda, and Holy Monk Shrine. After a night on Sun Moon Lake, you go to Lugang, a cool village in Changhua County that has many temples, for a guided tour. Finally you return to Taipei by bus or train. For meals, only breakfast on the second day is included. Do you care about seeing a paper factory in Puli? Sun Moon Lake is included on another popular GetYourGuide tour choice: this Best of Taiwan 5-Day Tour, also by coach and arranged by the same local tour company as above. It’s actually amazing how much of Taiwan they can cram into five days on this tour. If you only have five days in Taiwan and want to see it all (not counting Taipei), this is your choice. I’m actually impressed with the price of this tour, considering that all the hotels are 5-star, and these include some of Taiwan’s most famous and opulent hotels, such as the Fleur de Chine Sun Moon Lake and Silks Place Taroko. The tour stops include: Sun Moon Lake, Fo Guang Shan (the largest monastery and biggest Buddha in Taiwan, Kaohsiung, Kenting (the beach resort at the southern end of Taiwan), remote Taitung in the southeast, the stunning East Coast of Taiwan, Hualien, and Taroko Gorge. 5.0 star rating based on 15 reviews. See many of the most famous places in Taiwan in only five days. Amazing value for money, especially considering the excellent accommodations. 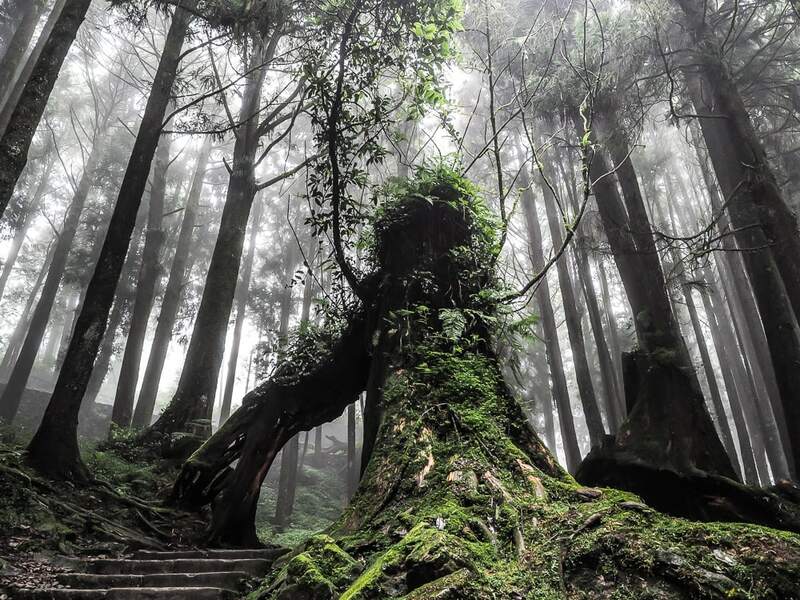 Doesn’t go to Alishan, one of Taiwan’s top attractions (see the 3-day tour option below). You would spend quite a bit of time on the road. I estimate three hours or more per day. Everywhere you go, you see the most famous (but also most “touristy”) places. For Sun Moon Lake: you only see three sights: Wenwu Temple, Holy Monk Shrine, and Ci En Pagoda. They are three main sights of Sun Moon Lake, but you really get the “tourist’s” version of Sun Moon Lake. There’s no boat ride or stop in aboriginal Ita Thao village. The same company’s 3-Day Tour of Sun Moon Lake, Puli, Lukang, and Alishan is appealing to me because it takes the 2-day Sun Moon Lake tour, and adds Alishan, one of my favorite places in Taiwan. In terms of costs, it doesn’t seem like as good of a deal though. It’s only $150 cheaper than the five-day Taiwan tour, but you see way less of Taiwan. Still, if your main goal is to combine a tour of both Sun Moon Lake and Alishan, then this is the choice for you. The addition of the southern branch of the National Palace Museum on the final day seems like an anti-climax to me (sorry, I’m not much of a museum person), but it may be a welcome addition for you. The same company also offers a 4-day tour, but I don’t recommend this one. It’s basically a combination of the 2-day tour and 5-day tour options. It’s almost as expensive as the 5-day one, but one day shorter. 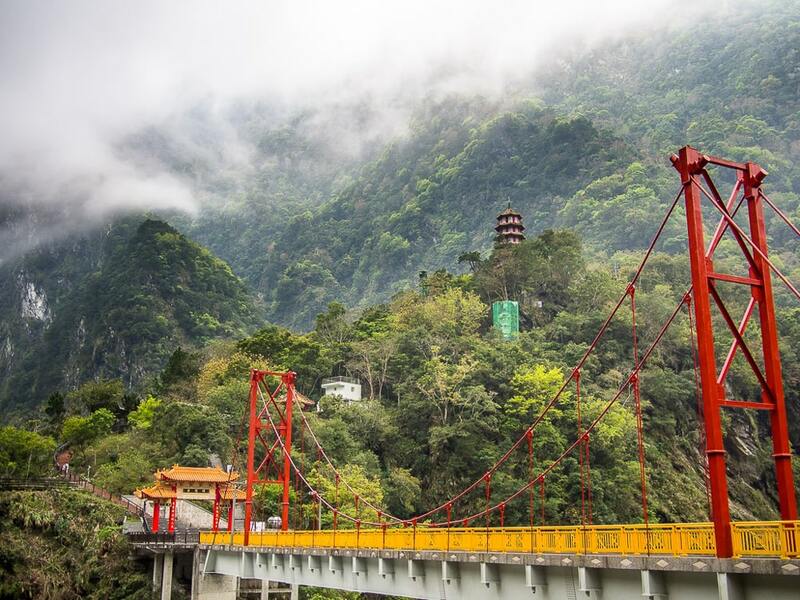 You miss out on the whole east coast of Taiwan and Taroko Gorge, but the total traveling distance is almost the same because you go all way to the southern tip of Taiwan and back, so you spend more time on the bus. I would say it’s better to stick to only Sun Moon Lake or Sun Moon Lake and Alishan, or go all in with the five-day tour. 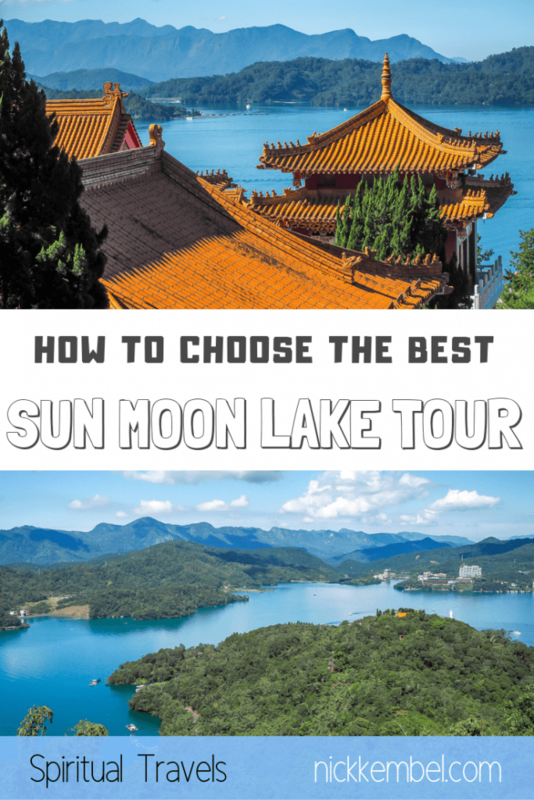 I hope I’ve helped you find a good Sun Moon Lake tour! If you have any questions or experiences you’d like to share, but do so in the comments below! Sun Moon Lake Pass: Is it Worth the Money?